It takes little to remind me of the exotic foods I love to delve into. But the recent Persian New Year, Nowruz, which began on March 20th this year, lasting 13 days, and celebrating Spring and the vernal equinox, had me heading to my local Persian market. Nowruz, which pre-dates Islam by quite a bit, is celebrated by the people of Iran, Afghanistan, and Tajikistan, people who are ethnically Persian. Nowruz shares many traditions with other cultures that remind their people of new life, rebirth, cleansing (both figuratively and literally) . . . you know, Springtime! 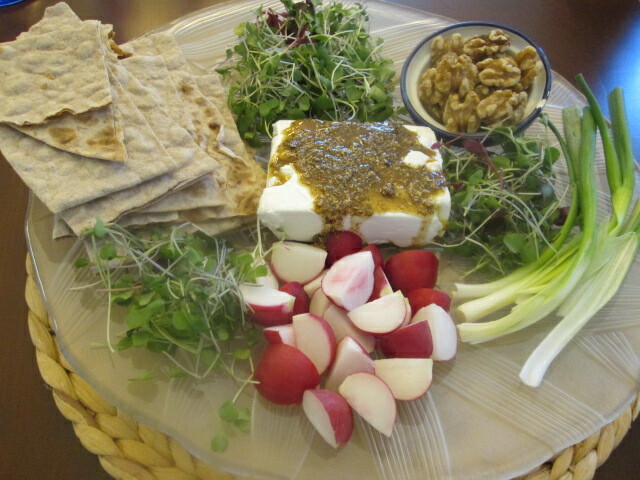 Our Persian dinner began with a fresh herb and feta platter, named Sabzi Khordan, with a centerpiece of feta cheese drizzled with a coriander and curry infused olive oil, with a sprinkling of coarse salt, surrounded by spring onions, radishes, walnuts and microgreens. We wrapped bits of everything in our lavash and munched on the various textures and flavors. This dish can be left to enjoy during the complete meal. 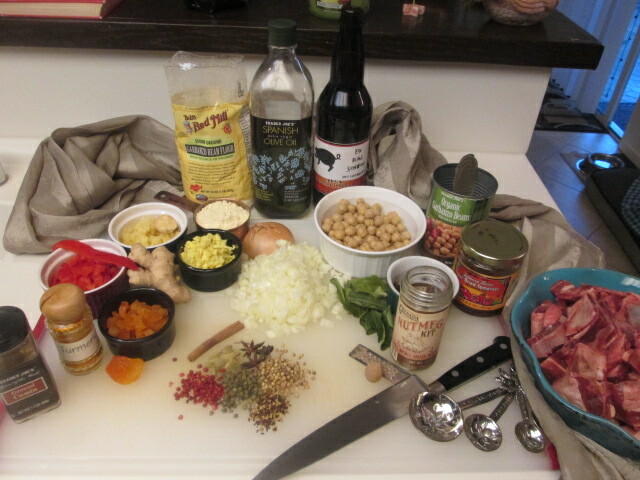 But the main dish that I prepared began with the chunks of fresh goat that my Persian market showcased in their butcher section. I’ll take goat just about anyway I can get it. 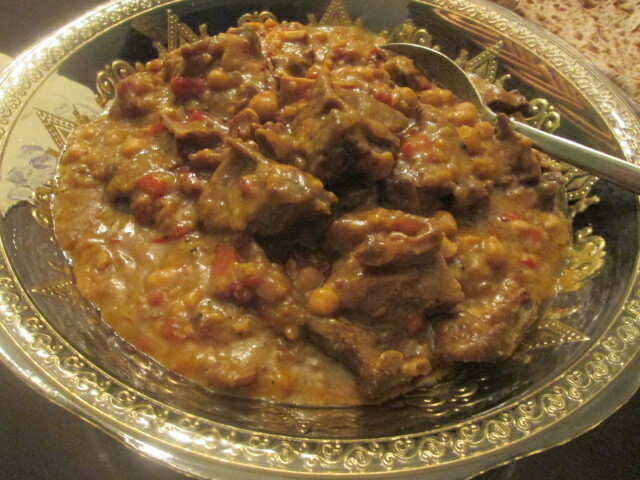 And I found the perfect Persian stew to showcase the goat, Abgoosht, a fragrant and hearty stew thickened with chickpea flour. 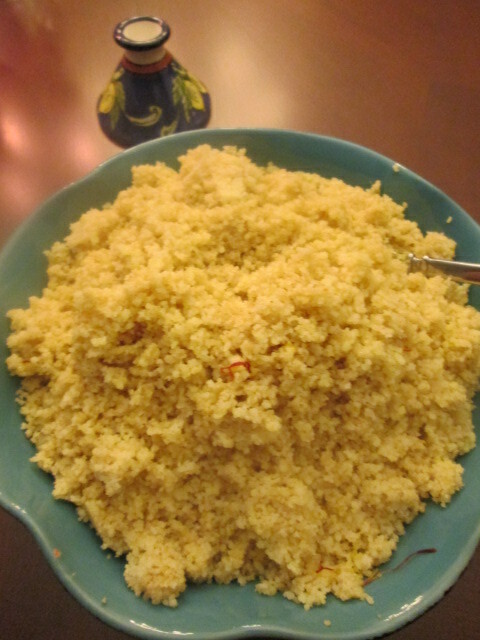 The list of ingredients include: red bell peppers, carrots, onions, lots of garlic, fresh ginger, dried apricots, omani (dried limes — my first time seeing them or using them), olive oil, some sort of beer, sun dried tomatoes, a pouch of [cardamom, star anise, cinnamon stick, turmeric, green and pink peppercorns, coriander seeds, szechuan peppercorns, cumin, & nutmeg], chick peas (added near the end of cooking), chick pea flour (for thickening), some pomegranate molasses (for a little sweetening — something I purchased the 2nd time I made this dish), and a little balsamic vinegar (for a little tartness). 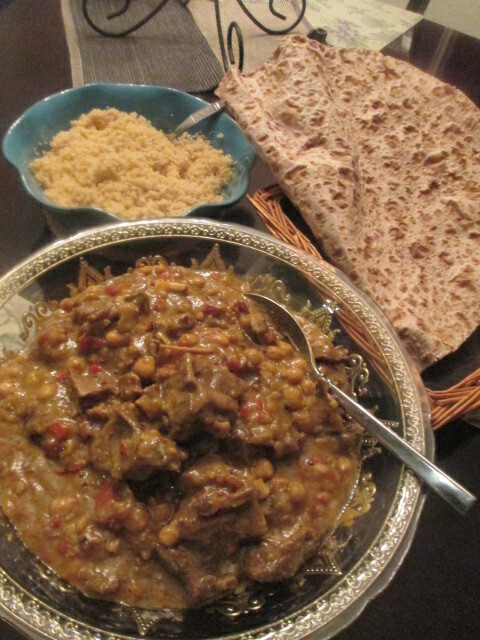 I am also a great fan of couscous, and my Persian market has DOZENS of choices, so it’s the perfect accompaniment to soak up the intense flavors of this goat stew. I threw in some saffron threads I had soaked in a little warm water. I have to admit I tried this dish first using a whole goat leg. Let’s just say, it’s a good thing I also planned on also serving a prime rib! 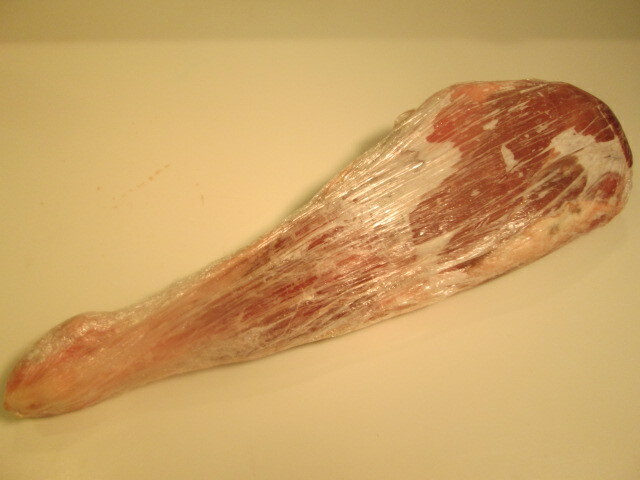 The goat leg cooked for 5 hours, not tenderizing at all! I cooked it later for at least 3 more hours before it was ready to fall off the bone. That little goat must have had plenty of exercise during it’s life! So I’ll stick with chunks of goat meat (Caution! Lots of little bones!) when I replicate this dish. 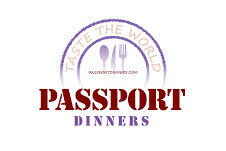 If you are a lover of fragrant, exotic dishes, give it a try. So many flavors that meld together beautifully and such great textures. I’ve made this dish 3 times in 3 months, so it’s a keeper!